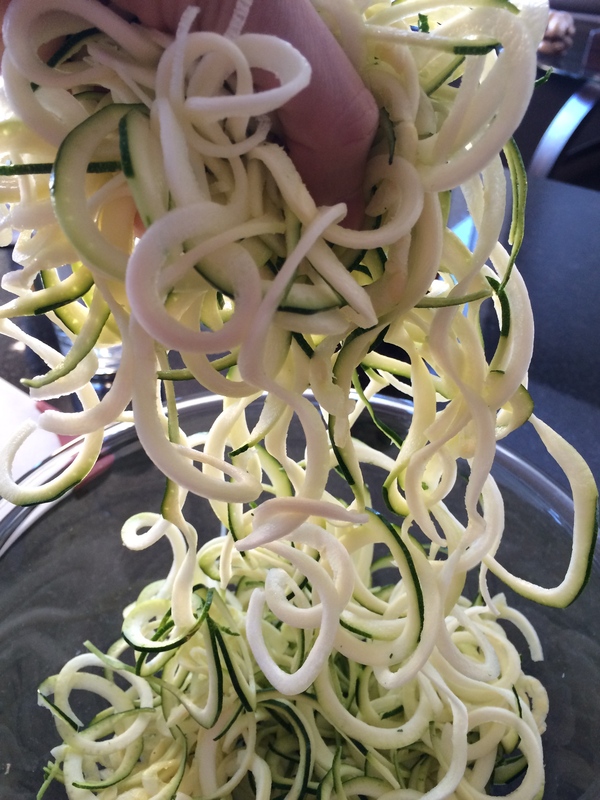 Contagiously Positive » How To Get Sneaky With Your Vegetables: Let’s Make Zoodles! How To Get Sneaky With Your Vegetables: Let’s Make Zoodles! A fabulous way to eat you and your family towards Healthy Living is to get sneaky with your vegetables. In today’s video tutorial, I’m showing you how to make Zoodles with zucchini with three different kitchen tools. Zucchini is such a perfect vegetable to mix together with your favorite pasta sauce, or toss together with regular spaghetti because it absorbs all the flavor of the sauce you are using. You don’t even have to cook it. The heat from whatever sauce you use is enough to give it the perfect texture and taste. It also contains vitamin A, magnesium, folate (great for pregnant women), potassium, copper, and phosphorus, zinc, niacin, and protein. If you are ready to get spirlazing, here are two of my Health Living recipes where you can taste test some Zoodles. Bon appetite! The mandolin can be purchased at Walmart, Canadian Tire, or any kitchen gadget store. The vegetable peeler can be purchased at most stores, including the grocery store or the Dollar Store.